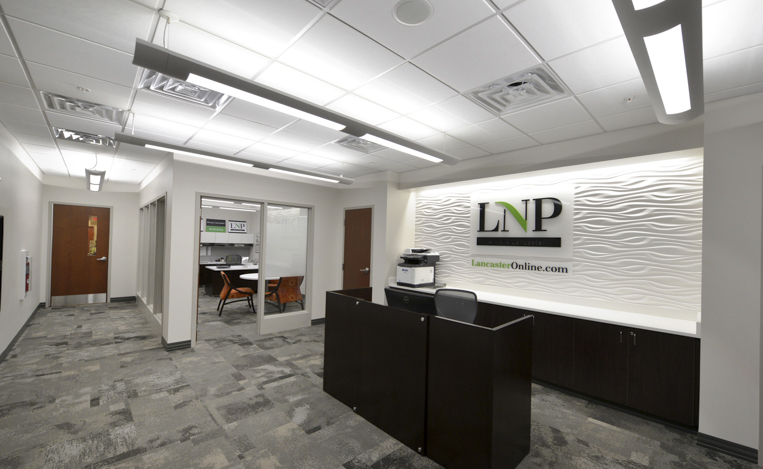 Lancaster Newspaper Corporate Office - Benchmark Construction Company, Inc.
Renovations at LNP Media Group included the existing open office space, elevator lobby, bathrooms, green room, and conference room. 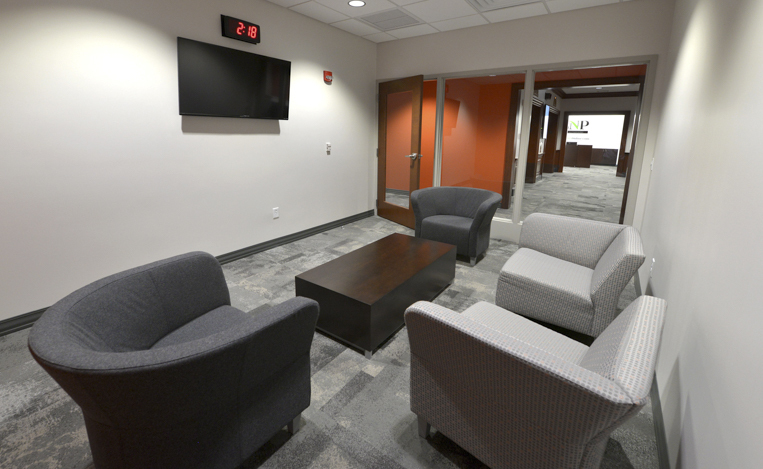 The project included construction and creation of a new multi-purpose studio space, control room, President’s office, reception area, lounge, kitchenette, and conference room, while renovating the existing bathrooms, elevator lobby, and corridor. 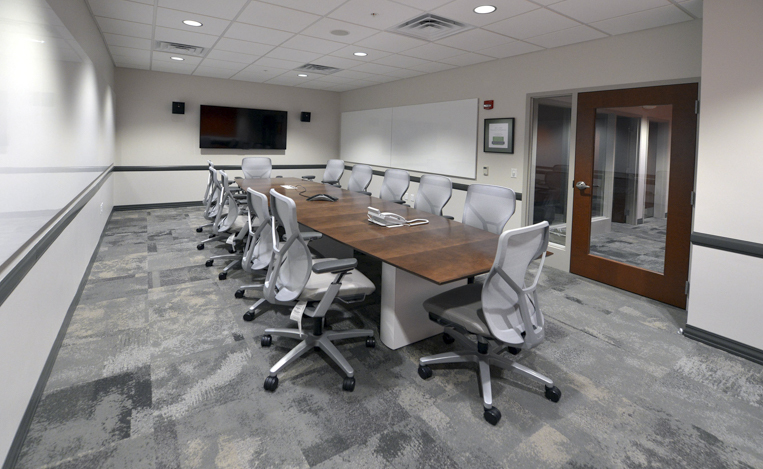 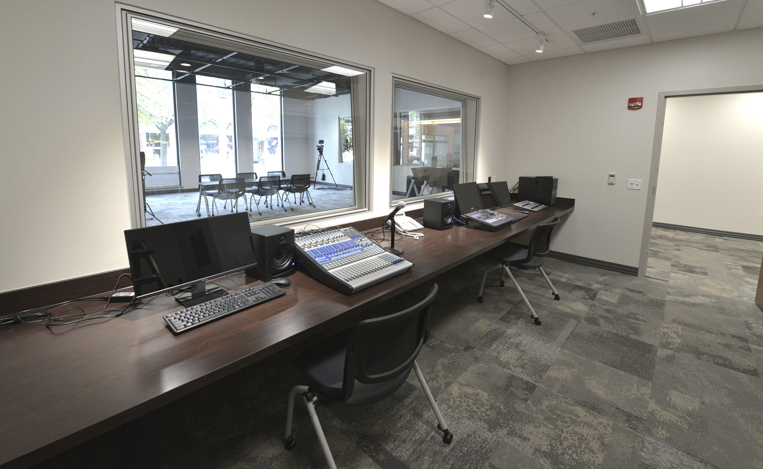 Benchmark installed new HVAC systems, electrical components/fixtures, acoustical insulation, in-filled access flooring, acoustical interior glazing, aluminum storefront systems, and new plumbing fixtures. 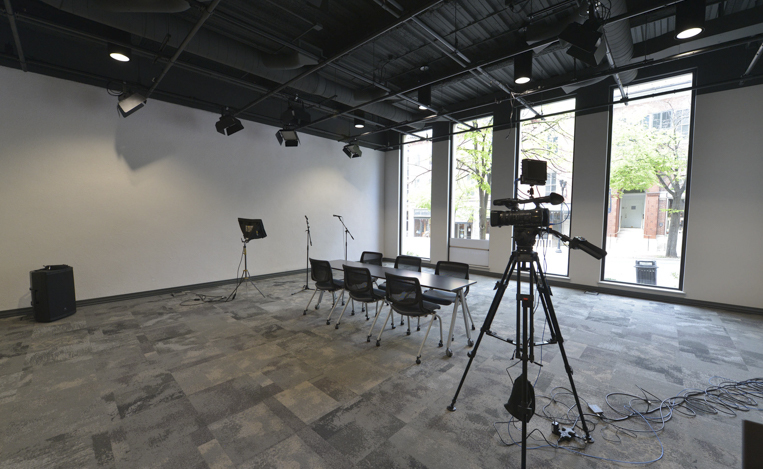 Some of the finishes used were ceramic tile, custom wood trim, quartz countertops, wood doors with brass hardware, and a custom made sculpted accent wall.